Rabbit anti human PGK1 antibody recognizes phosphoglycerate kinase 1, also known as PRP2, cell migration-inducing gene 10 protein, epididymis secretory sperm binding protein Li 68p or primer recognition protein 2. This antibody has been validated for western blotting using whole cell lysates. Rabbit anti Human PGK1 antibody recognizes PGK1, also known as phosphoglycerate kinase 1, PRP 2, cell migration-inducing gene 10 protein, epididymis secretory sperm binding protein Li 68p and primer recognition protein 2. The protein encoded by the PGK1 gene is a glycolytic enzyme that catalyzes the conversion of 1,3-diphosphoglycerate to 3-phosphoglycerate. The encoded protein may also act as a cofactor for polymerase alpha. PGK1 lies on the X-chromosome, while a related pseudogene also has been found on the X-chromosome and another on chromosome 19 (provided by RefSeq, Oct 2008). 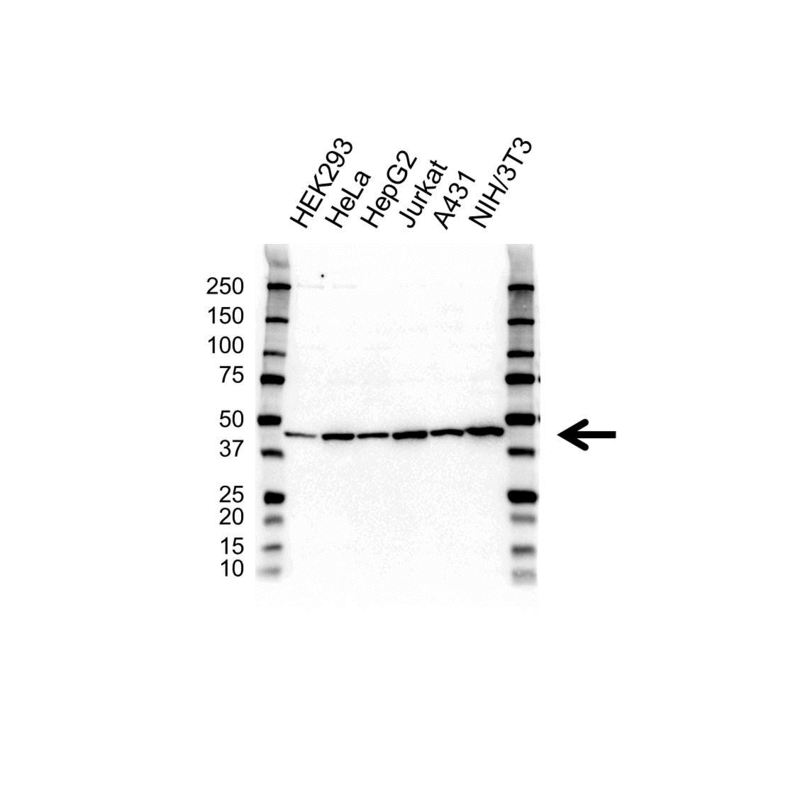 Rabbit anti Human PGK1 antibody detects a band of 45 kDa. The antibody has been extensively validated for western blotting using whole cell lysates.